Rock Review Phil: Semeron "Breathing Scarlet"
Minneapolis five-piece metal outfit Semeron are the latest to step out of the cliché and do things their way. It doesn’t take long after first hearing them to realize there is something different about them. They have an alternative influence to their sound that is accessible to the slow but heavy Deftones fans out there, but there’s enough classic metal influence that shows the band wearing such artists as Iron Maiden on their sleeves. On May 3rd of this year, they will be releasing their album Breathing Scarlet. The album starts, like so many other albums, with an instrumental, Afro Blue. Only instead of it being a typical 53 second prelude in to the album that really serves no point, which is the case for a LOT of metal albums, this instrumental intro is actually a three minute song, like a real instrumental that we don’t hear enough bands do anymore. With a perfect mix of acoustic and dual electric guitars, and rhythmic riffs that make you go “how did no one think of this before”, the albums listener is instantly in for what is going to be a hell of a ride. The instrumental leads in to the instant classic, Can’t Take Me Alive, which speeds things up from the doom metal sound to start off the album. This song starts off with another classic metal sounding guitar riff, and then leads to the first time that we hear Adam Hanson’s modern alternative styled voice, which compliments the heavy backbeat of the entire album perfectly. 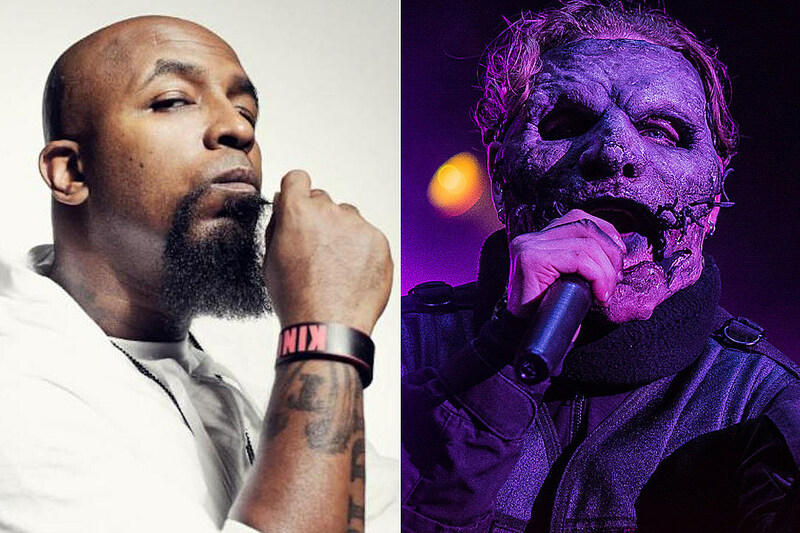 The album also shows a good mixture of “doom metal” influence, heard on tracks such as Cherry Blossoms, which has a simple hard hitting drum beat and crunching guitar chords, but still mixes in the alternative influence in its Stone Sour-esque chorus. Rather than the shredding guitar solo that we hear on Can’t Take Me Alive, we hear a classical sounding guitar solo, well placed before a brief soft point in the song. Trees continues on the doom sound, with its slow pounding intro and apocalyptic guitar swell sound effects. The chorus of this song sounds like that of what a marching band would sound like if you gave them electric guitars and turned the amps to eleven. It also has among the best guitar solos on the album. It is not too showy and is melodic enough to show the maturity of the bands sound. Honalee also features the doom metalish sound, but this time there are much more dual guitar riffs to make this sound like an Iron Maiden/Black Sabbath crossover. The band shows maturity beyond their years by showing their ability to mix their softer side while maintaining absolute metal credibility with songs such as Ship of Fools. The song successfully sounds like the soundtrack to a ship lost at sea. It starts off acoustically, but eventually turns in to a clean electric guitar sound and picks up at any points, keeping the listener entertained the whole way through. Rain also mixes the softer side with their metal side, but this time in the form of a simple alternative metal track, with acoustic guitars heard throughout, and one hell of a heavy and heartfelt chorus, and a passionate ending to top off an excellent song. The album ends on among the best moments of the album. First with the minute-and-a-half long acoustic Prelude in Em, that leads in to the seven minute epic Our Sky. Again mixing acoustic/clean guitars with heavy passionate breaks, only this time, the first half of the song is acoustic/clean, while the second half it, almost unnoticably, picks up in to more dual guitar mastery and a rhythmic guitar solo that you just don’t hear anymore. Adam performs undoubtably his best vocal performace on the album. The song sounds very much like a classic metal song just modernized, like something a Metalcore band might play, just with clean vocals and no screaming (it should be noted that there is no gutteral vocals heard on the album). The end result of the album is something that is simply not heard enough. The album bleeds of its influences from an obvious variation of different rock sounds. It stands out in comparison to its metal counterparts also making modern music. They have a refreshing sound that involves no screaming, which lately has just become old and used anyway, unless you know the right way to use it. The usage of two guitars on this album is something that more bands should take note of: one guitar playing a hell of a good rhythm riff in the background, as opposed to simply strumming one, or at best two chords over and over, and one guitar playing lead over top of it. This is of course when both guitars are not playing lead. 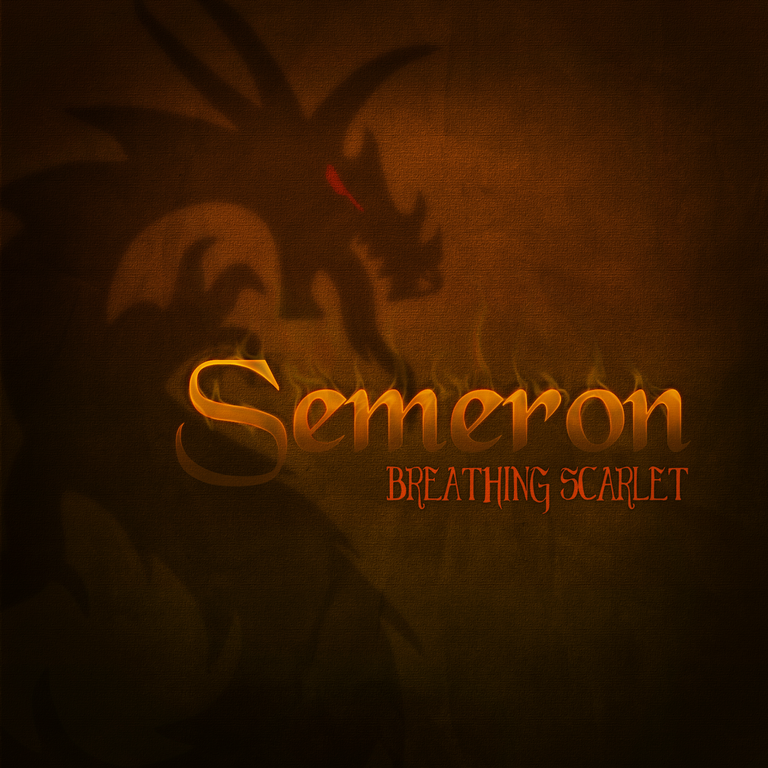 Semeron as a band have all the potential in the world to be a great name in metal, and the proof is here in Breathing Scarlet. “Crusher” –­ This is a track that sounds more toward the alternative side of their influences. It starts off with a thumping that sounds like a dinosaur is walking toward you. The song has the biggest sound compared to any other on the album, and it’s very easy to hear this song being performed in an arena, mostly thanks to the consistent strong beat that it upholds. The song has simply the best chorus heard throughout the album that could pump anyone up, and I mean anyone. It also features its dual guitar sound, which is really the only classic metal sound on the song. After playing this album for a few friends and seeing their reaction to this song, there is no doubt that it is the highlight.